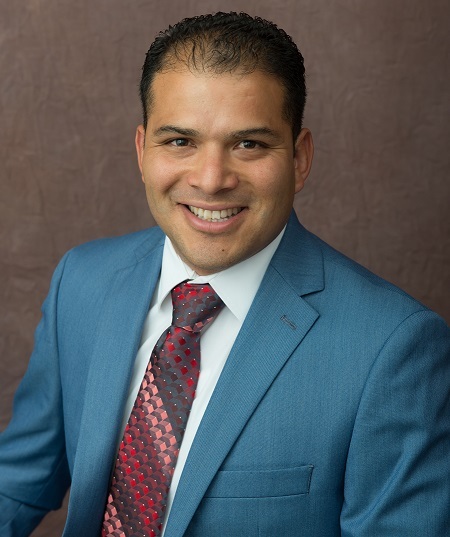 Johan Cisneros, "The Running Realtor"
Johan has been serving the South Bay and Westside since 2001. He started his career at Century 21 Western Homes in Hawthorne, CA working with buyers and sellers. He also worked at Remax Pacific Properties Realty and now currently is the owner/broker of Pacific Properties Realty Group. His real estate experience includes selling single family homes, condos, townhomes and 2-4 units multi-family homes. In the last 15 years of practicing real estate, he has helped his clients with relocation, new construction, probate, trust, renovation/ 203k(FHA), foreclosure and short sale transactions. Johan is a graduate from Cal State Dominguez Hills University with a degree in Business Administration. He is a local product of Hawthorne igh School (class of 1996) and El Camino College, Torrance. Prior to becoming a full time Realtor, he worked as a Customer Service Officer at Union Bank for 4 years with an overall experience of 8 years in retail banking. His past experiences as an appraiser, loan consultant and property inspector is an advantage to his clients. He is able to assist in helping understand property values, loan products and condition of any home. His goal is to create a long lasting working relationship with his clients by assisting them in building wealth and security through real estate. Johan is a proud father of 2 boys who love to bike ride and run with the Running Realtor! Johan is a past collegiate track & field 5K California state championship qualifier who continues to compete in everything he does. He promises his clients to help them compete in today’s real estate market! 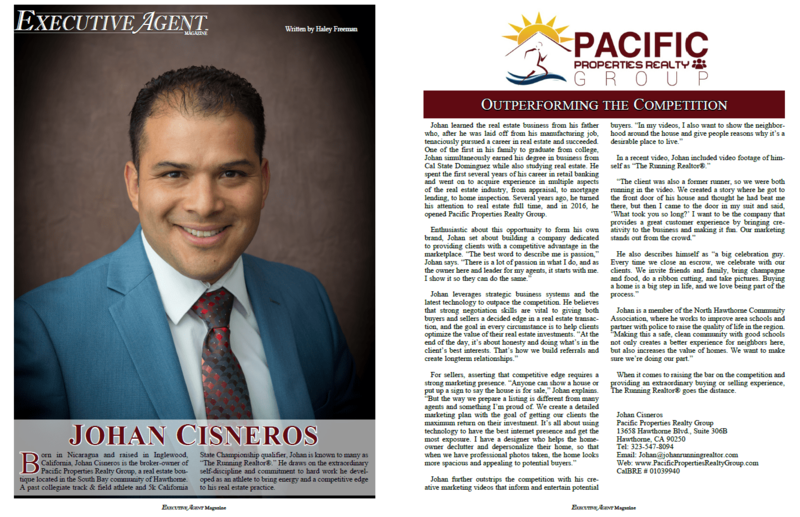 As the Real Estate Broker of Pacific Properties Realty Group he has assembled a team that strives in outperforming the competition because of local knowledge, maximum exposure marketing strategies and great client service.